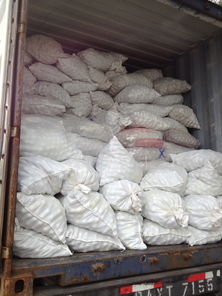 We recover golf balls from your lakes . . . and we pay you for them. You generate important cash flow for your business. Retrieval has minimal impact on your operation. No interference to normal play. Your golf course will be serviced in a prompt and efficient manner. Regular communications between our company and your representative. 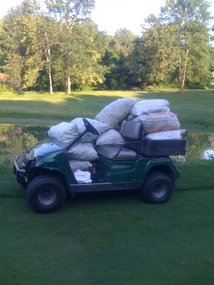 No one will arrive unannounced to retrieve golf balls from your course. Retrieval personnel will work your course, as scheduled, and announce themselves upon arrival with appropriate identification. 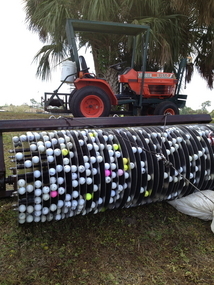 Divers - this is the common form of golf ball recovery. divers submerge in the lakes and retrieve golf balls by hand. Rollers - used for ponds without large rocks and liners. This is a very effective way to remove all the balls that have built up in the middle of your lake.